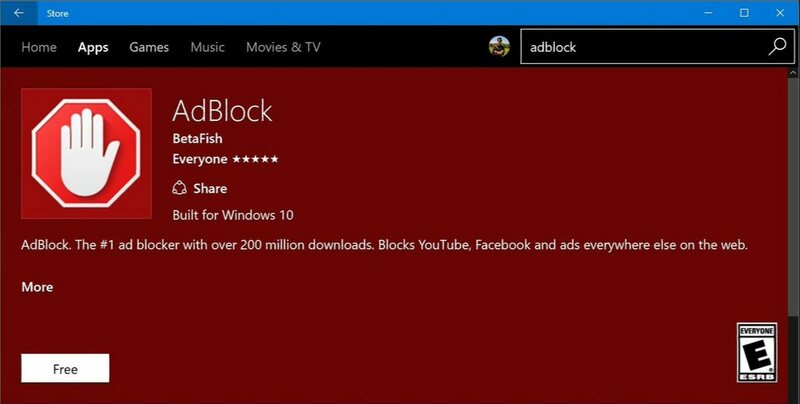 AdBlock and AdBlock Plus appears in the Windows Store for Windows Insiders on desktops. Users can now download Microsoft Edge AdBlock and AdBlock Plus extensions. New extensions allow users to block ads on websites. Currently, these downloads will work just for the most recent Insider versions of Windows 10 Build 14332 that enabled extension support for Edge. The final version of Ad blockers will come for Microsoft Edge browser with Microsoft Anniversary Update.